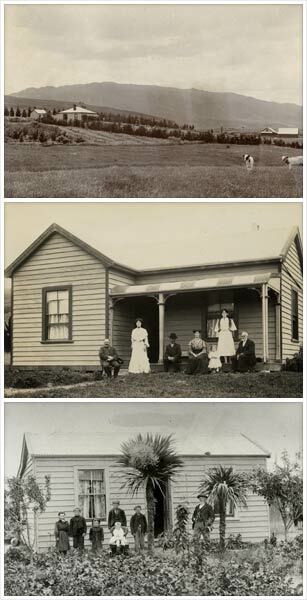 In 1893 John McKenzie, as minister of lands, purchased the Cheviot Hills estate for the government as part of his policy of dividing up the great estates. The land was balloted under a variety of forms of tenure. Some was sold as grazing farms for pastoral purposes, as were the 2,089 acres (845 hectares) acquired by D. O. Brick (top). Some was leased in perpetuity, as was the 400-acre (162-hectare) farm acquired by J. S. Zuppicich in 1894 (middle). There were also village settlement sections of 10 acres (4 hectares), such as the land acquired by government labourer George Kay (bottom).